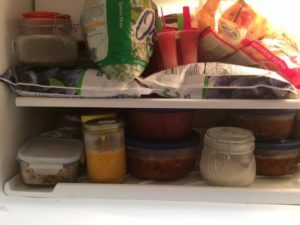 While I wouldn’t have my freezer completely packed with stored-bought ready-to-heat freezer items, having some on hand is never bad, not just for Freezer Fridays but really for almost any day of the week. Whenever I cook a meal that will park and freeze well, I always cook double the amount, and freeze the leftover in a glass oven-proof dish that will be ready for another night. Don’t forget to label it. Trust me, you might not remember what’s in that container down the road. Oh yes, that’s me, speaking from experience. 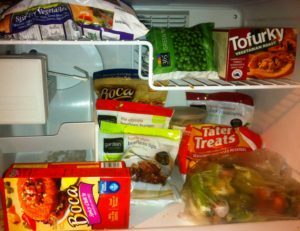 On Thursday evening, peek into your freezer and take out one of these meals, putting it into the refrigerator so it can begin to defrost. This will radically reduce your cooking/re-heating time on Friday evening. Soups and casseroles are excellent go-to’s that, oftentimes, are actually better the next time around. And, it’s not any more effort to make enough for an extra meal or two the first time around. Particularly soups are so versatile. Make a creamy soup, then when it’s Freezer Friday, you can throw in some veggies (and maybe some pasta) for a quick and delicious meal. If the soup is a broth soup, I simply throw the raw pasta right into the soup and let it cook. The pasta will absorb the flavor of the soup, and you won’t have an additional pot to clean. I would only use this technique for soup that will be eaten at that meal and not reheated or frozen. The pasta will soak up the broth and become a gummy mess. When making casseroles, use oven-ready freezer-proof dishes so you can assemble your freezer casserole directly into the vessel that will go straight into the freezer. No need to bake it at time of assembly. 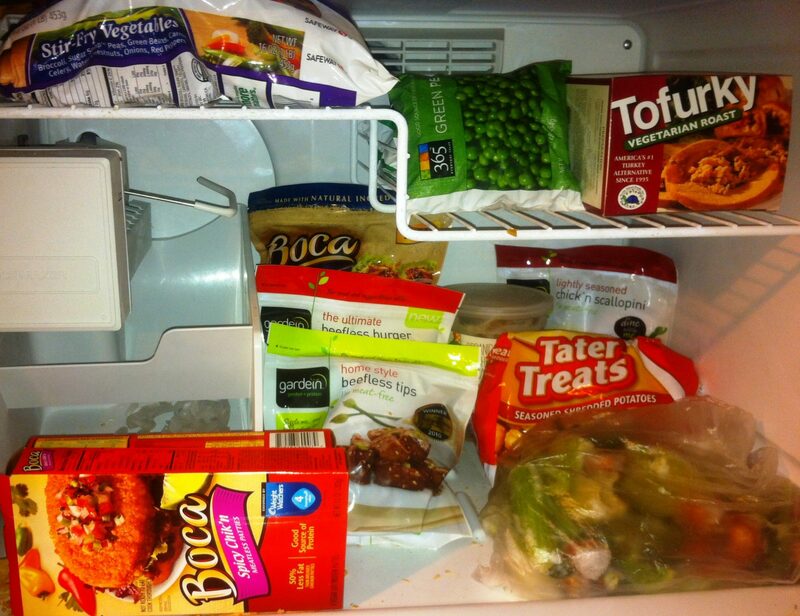 Park in the freezer, put in your refrigerator on Thursday evening, and bake fresh on Friday. Oh, you say that you forgot to take something out of the freezer on Thursday night? No worries. Remove any lid or covering that is not oven-safe. Put the casserole in a 250 degree oven until the casserole is almost all defrosted. Depending on the size of the casserole, this might take anywhere from 30 minutes to an hour or so. The intent here is to get the vessel itself warmed as well as the inside edges of the casserole so that when you turn the oven up to your desired baking temperature (350-375 degrees), you won’t crack the vessel. If you stored your soup or sauce in a glass jar in the freezer, you can place it in a pan to create a water bath. Fill the water to 2/3 the height of the jar. Bring the water to a very slow simmer, then reduce the heat. The trick here is to not overheat the water because, again, you don’t want to break the glass. Keep the jar in the water bath until the contents are defrosted enough to put into a pot. Heat as you normally would at this point. Some crusty bread (and a salad, if you feel a slight bit ambitious), and your meal is ready.